Maintenance Description: Start twice during winter months; keep mechanical parts from sticking. Have unit professionally serviced annually. Maintenance Description: Seal joints that are subject to being wetted; prevent leaks, dry rot, mold and mildew. Remove and replace caulking as needed. Maintenance Description: Inspect deck surfaces for cracks in coating, loose boards and surface sealers. Minor maintenance and repairs extend deck life. Check and clean drains monthly during rainy season to prevent drains from backing up and flooding the deck. Maintenance Description: Vacuum racks and lubricate hinges and latches to keep operating parts smooth. Maintenance Description: Make sure debris is removed from ditches and swales. Maintain positive drainage away from buildings to keep drains from backing up and flooding during the rainy season. Maintenance Description: If equipped with a lint trap behind the dryer, check and clean. Maintenance Description: Set nails, caulk and paint. Improves appearance of finished interior wall surfaces. Maintenance Description: Test GFCI/ARC Fault circuits for safety of electrical circuits. Maintenance Description: Change or clean regularly to help remove dust and pollen from interior air and improve furnace efficiency. Maintenance Description: Lubricate to promote smoother, less noisy operation; extends system life. Maintenance Description: Fill with ice and operate. Cleans and sharpens. Maintenance Description: Inspect for pavement breaks, heaving sidewalks from tree roots, dry rot at decks and blockage of drainage system. Avoids more expensive repair costs. Maintenance Description: Seal grout with silicone based sealer; cracked grout should be caulked with a caulk specially made for filling grout to improve appearance and prevent leaks. Maintenance Description: Check before rainy season and monthly during rainy season to prevent overflow onto walls, prevent eave leaks and extend gutter life. Frequency: Monthly during rainy season. Maintenance Description: Detected and treated yearly will prevent structural damage; controls annoying pests. If found, treat monthly. Maintenance Description: Direct water spray properly. Eliminates excess watering, staining of exterior walls and dry rot of structures. Flat: Maintain for appearance. Repaint as necessary or after 10 years. Enamel: Maintain for appearance. Repaint as necessary or after 10 years. Stucco: Repainting should be done every 5 to 10 years. Overhangs & sheetmetal: Repaint every 5 years or as necessary to maintain. Facia/Plantons: Repaint every 3-4 years to maintain appearance. Stained doors: Should be re-finished every 6 months or as needed to maintain. Maintenance Description: To prolong life of water heater, accumulated sediment should be removed from tank. Extends water heater life; provides more efficient operation; uses less energy. Maintenance Description: As recommended by manufacturer. Maintenance Description: Check yearly and replace when necessary. Reseal thresholds. Maintenance Description: Avoids backups and plugged drains; promotes sanitation. Use only cleaners recommended by manufacturer. Maintenance Description: Test detectors once a month, using the test button on the detector. Change batteries on a regular basis to keep detectors operating during power failures. 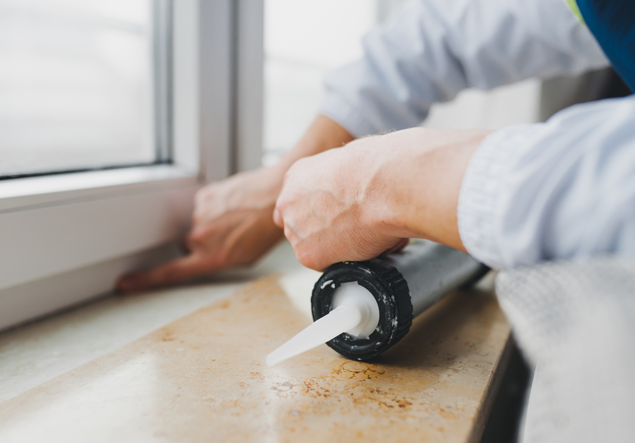 Maintenance Description: Caulk and paint keeps system water tight; improves appearance, extends major maintenance periods; reduces chances of mold and mildew.